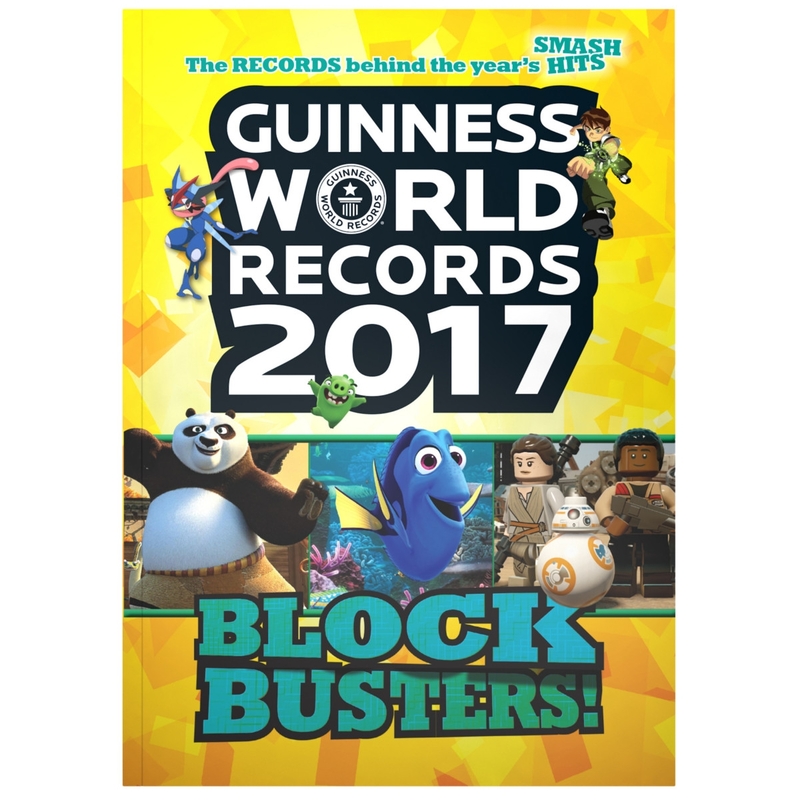 The Guinness World Records Store - Guinness World Records 2017: Blockbusters! 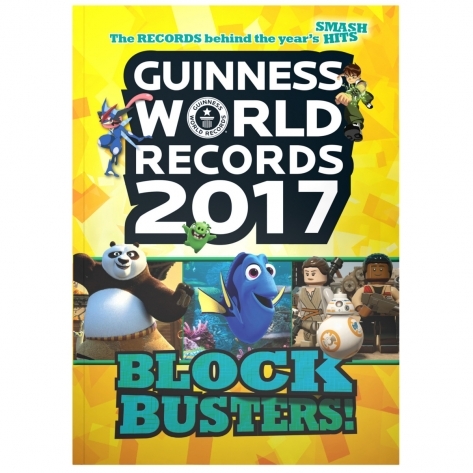 Roll out the red carpet for Guinness World Records 2017: BLOCKBUSTERS! It’s virtually exploding with the latest pop-culture records, stellar pictures, behind-the-scenes news and definitive top 10s. Look right here to find the most-loved movie and TV stars, viral vloggers, chart-topping music, toys, books, attractions and much, much more. It’s so on trend it deserves the “fist-bump” emoji. But don’t just take our word for what’s hot; in our exclusive Q&As, hear what it’s like to be Rey’s stunt double in Star Wars, who inspires Wimpy Kid writer, Jeff Kinney, and a few survival tips from Deadly 60’s Steve Backshall. You’ll also meet the people lucky enough to build LEGO® for a living - jealous much? And if all that isn’t enough, try exclusive GWR challenges to see if you can set a blockbuster-inspired record in your very own home! So whether you’re a fan of Facebook, Pixar, Spotify, WWE, Pokémon Go, Harry Potter, eSports, or anything else that rocks the entertainment world, this is for you!